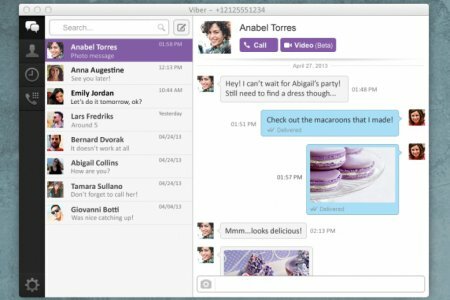 Viber vs Skype – Which one should you use? On the market of mobile messengers, the level of concurrency is incredibly high. Several companies constantly struggle for the profit on the usage of their products, improvement of services and engagement in promo-campaign. Two main players are Viber from Japanese company Rakuten and Skype from well-known all over the world Microsoft enterprise. These two messengers have similar functionality and represent nearly the same features. But what is the difference between them? What functions are available only in one of those products? In this article I will make a comparison review of Viber and Skype. you can send the documents via the app: text files, images, sheets etc. in Viber the drafts are saved automatically, so you may return to composing your message afterwards. In Skype this is not possible. Here is the whole comparative review of features in Viber and Skype. Basically, Viber is more powerful than Skype, so I give advantage to the first mentioned mobile/PC messenger.